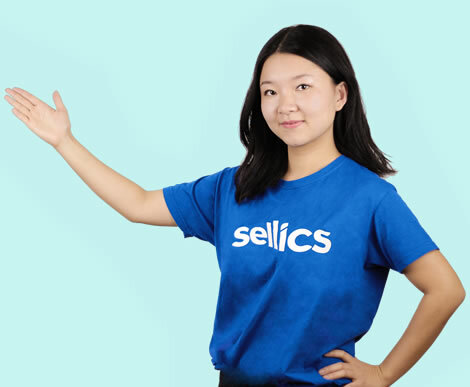 What goals can I pursue with Sponsored Product campaigns? Before starting to create and optimize a campaign, it is important to understand what goal you want to achieve. This allows you to assess the current performance of a campaign and optimize it for that goal. What goals can I pursue? The objectives of PPC campaigns can be very different. The following graph illustrates the different objectives together with the typically corresponding CPC level. Goal 1 — Maximum Orders at Break-Even ACoS: A focus on sales is particularly useful for new products because the resulting orders can improve the organic ranking of keywords that were successful via PPC. Even if the focus is on orders, the ratio of profits/losses needs to be observed. Typically, you try to increase your orders until you have reached the break-even point after advertising costs. The break-even point after advertising costs corresponds to the break-even ACoS. Goal 2 — Maximum Impressions (Share of Voice) at Break-Even ACoS: A focus on Impressions or Share of Voice makes sense if the overall objective is to increase brand awareness. Again: Even if the focus is on impressions, profits/losses must still be kept in mind. Typically, you try to increase your orders until you have reached the break-even point after advertising costs. The break-even point after advertising costs corresponds to the break-even ACoS. Goal 3 — Profitability: Target Margin After Advertising (Target ACoS): As soon as a product is established in the organic ranking, the focus of PPC campaigns is often on profit. The aim is to reach a certain target margin after deducting advertising costs, or the equivalent: a certain target ACoS. Strictly speaking, however, the idea is as before: to maximize the number of orders/impressions while adhering to a certain target margin. Goal 4 — Maximum Total Profit Across All Sales: The aim here is to maximize the total profit — after deducting all costs (including advertising costs) across all units sold (profit per sale x all sales). In the case of ‘profit’, a distinction must be made between profitability/profit per unit (goal 3/efficiency) and total profit (goal 4/volume). Many advertisers optimize for profitability — out of pure instinct, but also because it is easier to implement since Amazon delivers the key figures directly (especially ACoS or cost of sales). The alternative is to sacrifice a little margin, thus achieving more sales and more overall profit. An optimization for total profit is more difficult to implement but can be worthwhile. This ACoS leads to zero profit after advertising costs. If the actual ACoS is higher, the campaign incurs a loss. With this ACoS, the desired target margin after advertising is maintained. 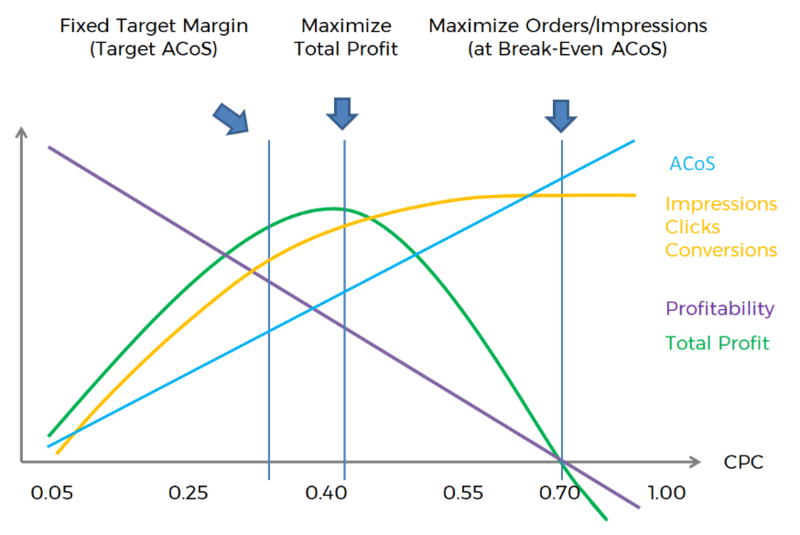 If the actual ACoS is higher, the target margin will not be met. When interpreting the actual ACoS in the campaign interface or when working out break-even and target ACoS, it must be noted that Amazon calculates the ACoS via the end customer price or turnover. 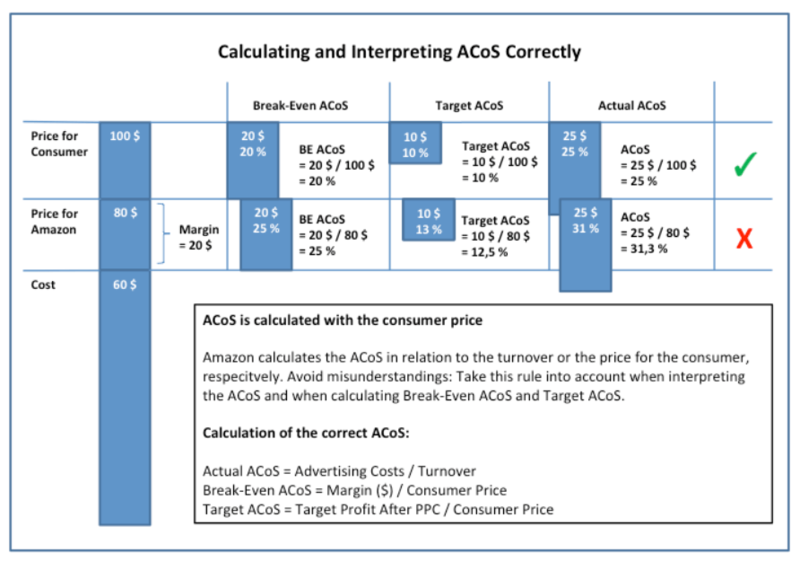 To compare the ACoS calculated by Amazon with your own Break-Even ACoS or Target ACoS, these must, therefore, also be calculated via the end customer price — as shown in the following example. In our example, a product has a margin of $ 20: Per sale, a maximum of $ 20 can be spent on advertising costs without incurring a loss. To calculate the break-even ACoS (or target ACoS) from this margin, you need to use the end customer price — not the selling price to Amazon — as a reference so that the ACoS values are comparable (The break-even ACoS here is 20%, not 25%). Otherwise — for example — a running campaign ACoS of 25% could give the false impression that the campaign is meeting its break even target while it is, in fact, incurring a loss. The AMS module in Sellics VE allows you to store your target or break-even ACoS for each campaign (also via batch upload). This facilitates analysis and optimization enormously. 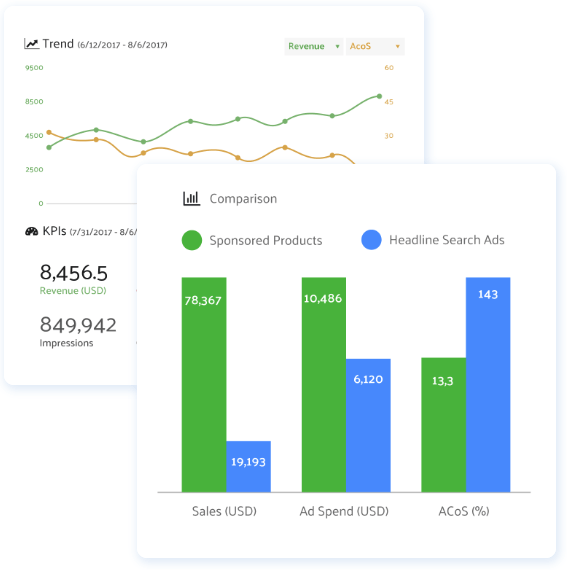 The interface shows you immediately whether your campaigns are on target — without having to download reports and analyze them in Excel. If several products with significantly different margins are grouped in campaigns, it is difficult to calculate and use break-even ACoS, target ACoS, and total profit. The calculation and use of target metrics for campaigns or keywords as described above is only possible if all products in the campaign or ad group have the same or very similar margins. As soon as the margins differ more significantly, however, the target values must be calculated on the level of individual products to correctly assess the overall performance of campaigns and keywords. 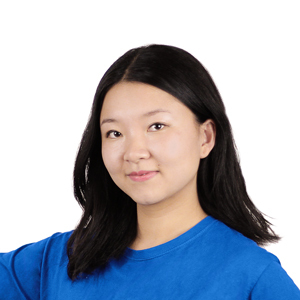 Our recommendation therefore is: only put products with similar margins in a campaign. This way, the target values for the campaign and the individual keywords can be easily used.